Dr Ngan is President of the May Cheong Group. She is also Honorary President of The Chinese Manufacturers’ Association of Hong Kong, and Vice Chairman and Honorary President of the Hong Kong Federation of Women. 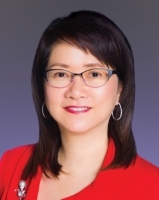 Her outstanding achievements have won her many honours including a Medal of Honour and appointment as a Justice of the Peace by the HKSAR Government, the Hong Kong Young Industrialist Award, the Enterprise Trophy of the Hong Kong Business Awards, and the Honorary Doctorate of Business Administration by PolyU. Dr Ngan is now a member of the PolyU Court.